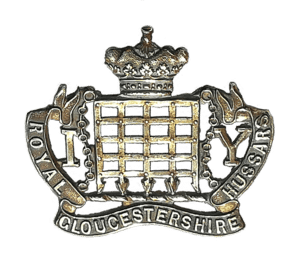 The Gloucestershire Regiment, which formed in 1694, was amalgamated with the Duke of Edinburgh’s Royal Regiment in 1994 to form the Royal Gloucestershire, Berkshire and Wiltshire Regiment (RGBW). 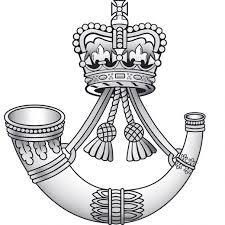 This is turn was amalgamated with other regiments to become part of the Rifles who are now the county Infantry regiment. The Rifles have 7 Battalions, 5 regular and 2 reserve battalions. 1 Rifles are based in Chepstow, Gloucestershire and A Company 6 Rifles is based on Eastern Avenue in Gloucester. The Royal Gloucestershire Hussars was raised in 1795. Through various re-organisations, they remain today on the establishment of the Army Reserves as C (RGH) Squadron Royal Wessex Yeomanry based in Cirencester, Gloucestershire. Its main function is to provide Tank Replacement Crews for the Challenger 2 Main Battle Tank. It also trains in a forward reconnaissance role on the Land Rover Defender. Visit the museum and see more information on these Regiments. Try and wear the amount of personal equipment an infantryman carries on patrol in Afghanistan !